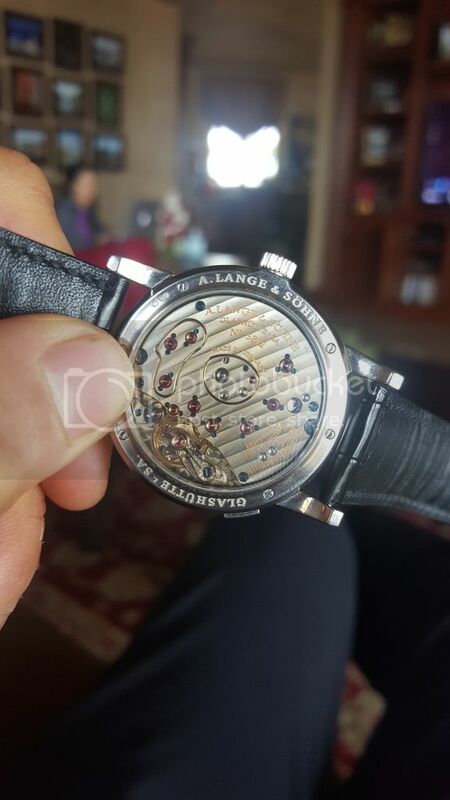 I just recently purchased a lange 1. Ref 101.027. The power reserve hand does not line up flush with the top marker when fully wound. It stops just a little bit short as seen in the attached picture. The watch is running well and lasts a few days when fully wound, so can any one provide any insight as to why the power reserve hand doesn't line up? I (Edwin) edited the link to the photobucket site so the picture does appear. does the watch function normally otherwise? If the watch is still under warranty you could have it fixed. Not sure where you bought the watch but if you return it to fix this situation, make sure the watch is opened by a Lange authorized watchmaker. What is the position of the PR hand when all the power has been dissipated? Maybe the PR hand just needs to be realigned! Thanks Edwin for the quick response. I actually haven't let the watch run down so I'll have to wait to confirm where the arm positions when fully out of power. There were no records of service, but the watch seems to be running very well. Also, I was wondering whether it was normal for the german silver to patina unevenly? 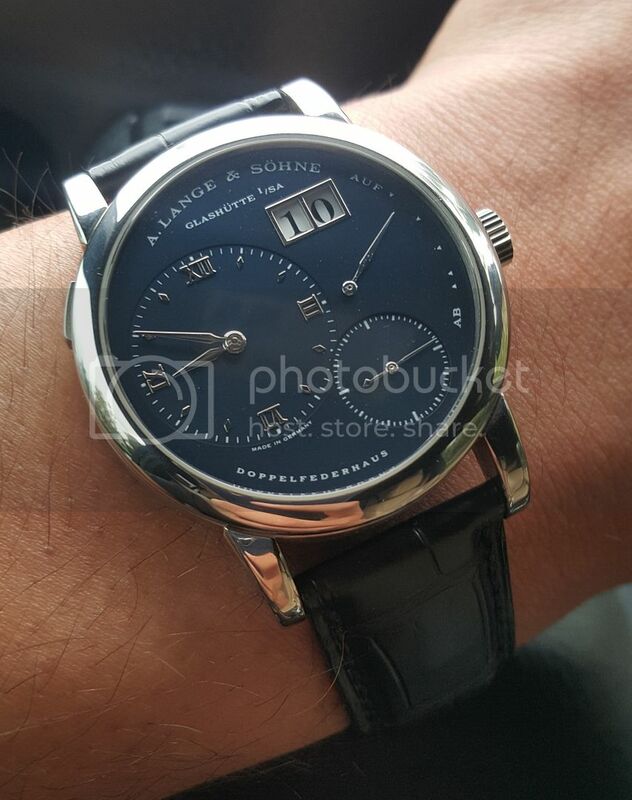 Don't mind the finger print on the bottom, that is simply on the glass, but the area around "a. lange and sohne" has a lot less patina than the rest of the plate??? I haven't seen uneven patina like that! I have to say, it is pretty beautiful though. I can't imagine it would be a bad feature though, have you read anything about it?? The patina is no doubt due to the age, according to CR's awesome case/movement resource this watch has a movement from circa 1996. If it hasn't been serviced at all it's operating condition is amazing, even if the power reserve is a bit off. I'd say send it in for a service if it bothers you, if not appreciate that you have a ~20 year old watch that is truly timeless and still functions close to 100%. I will let it run down and report back! Thank you.